Modern distributed systems and Systems of Systems (SoS) are built as a composition of existing components and services. As a result, systems communicate (either internally, locally or over networks) using protocol stacks of ever-increasing complexity whose messages need to be translated (i.e., interpreted, generated, analyzed and transformed) by third-party systems such as services dedicated to security or interoperability. 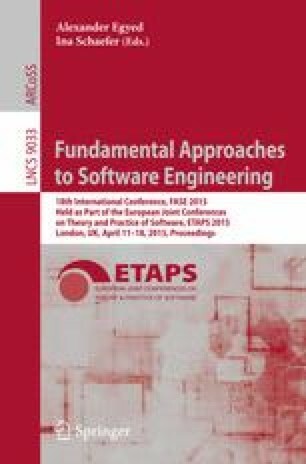 We observe that current approaches in software engineering are unable to provide an efficient solution towards reusing message translators associated with the message formats composed in protocol stacks. Instead, developers must write ad hoc “glue-code” whenever composing two or more message translators. In addition, the data structures of the output must be integrated/harmonized with the target system. In this paper we propose a solution to the above that enables the composition of message translators according to a high-level user-provided query. While the composition scheme we propose is simple, the inference of the resulting data structures is a problem that has not been solved up to now. This leads us to contribute with a novel data type inference mechanism, which generates a data-schema using tree automata, based on the aforementioned user query.